Combine ingredients in a medium saucepan and bring to a simmer over medium heat. Allow to simmer until the sugar is dissolved and remove from heat. 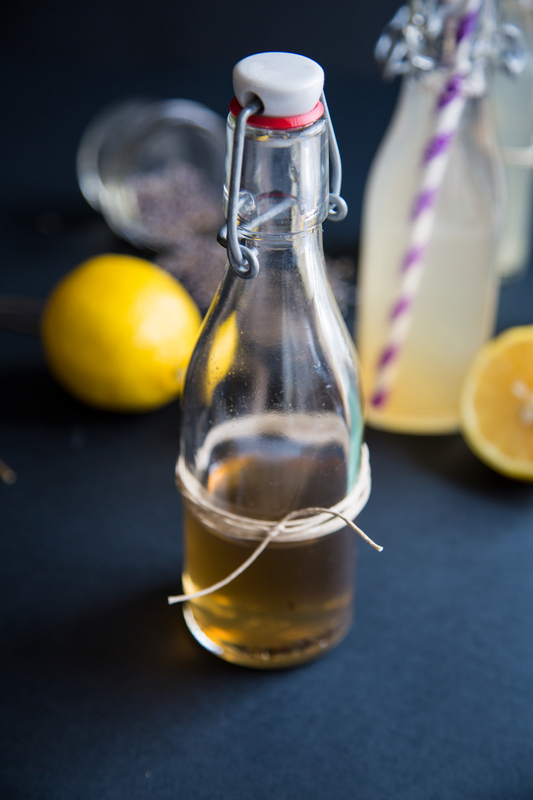 Allow syrup to cool completely before storing in an airtight container. Mason jars work well. Keep refrigerated. Stores for about a week. Combine 3 tablespoons lemon juice and 3 tablespoons syrup. Top with soda water. Viola! NOTE: to make single servings, it is equal parts juice and syrup, topped with soda water. 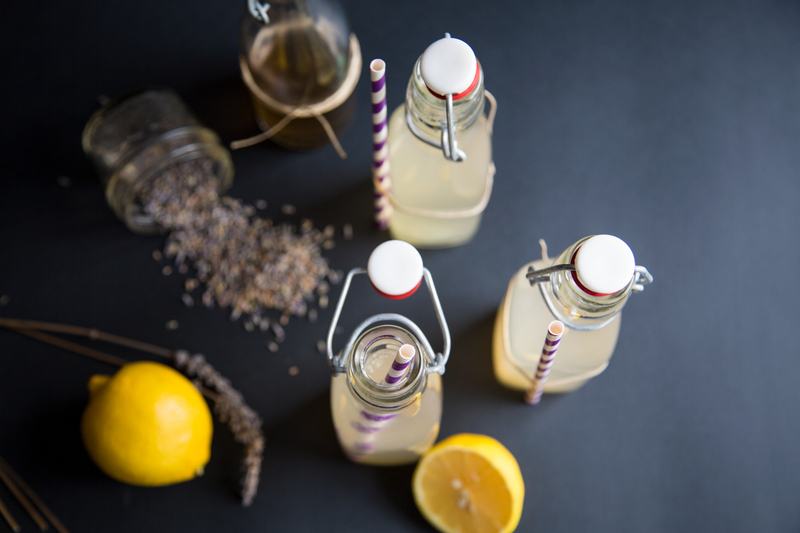 I love that you combined lemon and lavender, so creative! Fancy straws makes everything even better! I’ll have to try this! I hope you do Allison, it’s yummy! Yum! 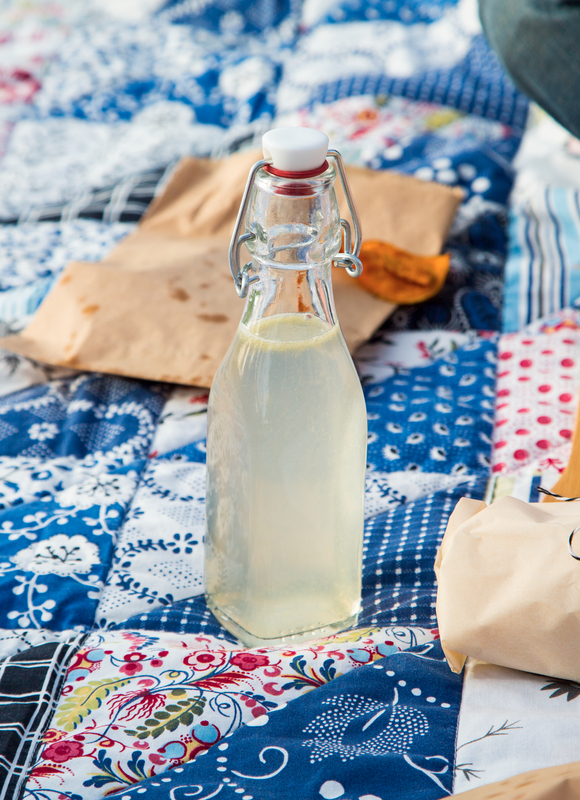 I’m going to make all of your picnic food when it actually gets warm enough here for a picnic…come on spring! I love this idea, can’t wait to try it. Thank you! I hope you enjoy it, it’s so refreshing! I love lavender in cold drinks. I usually make a lavender syrup to use it in iced tea. I have to give this a go. Hmmmm, I can’t remember exactly. I sort of hoard them from various locations but Shop Sweet Lulu has a great selection online, as does Papersource. I just discovered your blog via Joy the Baker and I have to say, I love it! I’ve pinned just about every recipe I’ve read so far – they’re all so delicious, and so beautifully styled! Hi from Australia!